SHIRO is a mobile game that celebrates the beauty of Japanese lacquerware. Players have to think out of the box while playing on a lacquer box: Beneath smooth surfaces, stories of depth await those who unriddle complex geometries. The game’s website is play-shiro.com, and you can find previous devlogs here (discussing our workflow + design/story making) and here (how we researched in Japan and exhibited a prototype at Kyoto’s Bitsummit Festival). In this devlog, we focus on the development of SHIRO’s materiality, UI and sound, and there’ll be another devlog out soon in which we dive into the small-business-side of things like how we’ve become a company in order to release a game on the Appstore. The core idea for SHIRO’s design is that the aesthetics of modern smart devices and Japanese lacquerware are astonishingly alike: Both are glossy, both are useful and of high quality, both have the potential to be used for story telling. 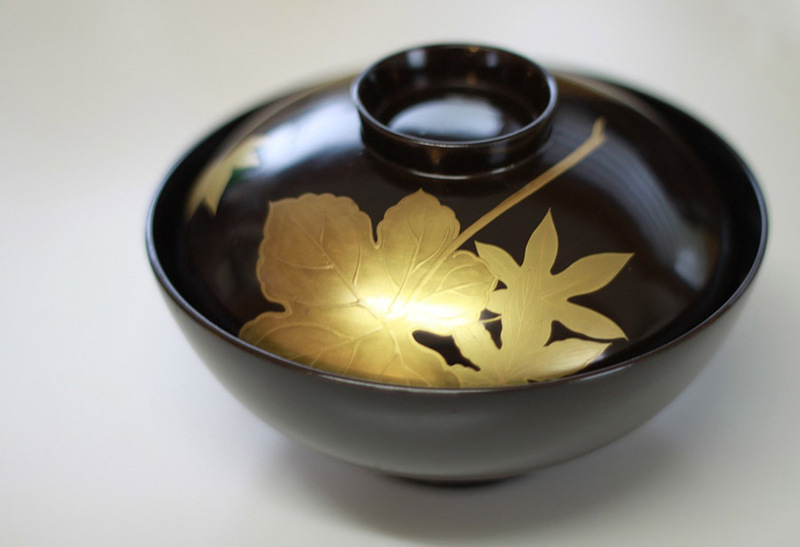 When living in Kyoto, we did not have the money to buy expensive lacquerware, but we went to stores often and looked at these beautiful objects. What if we made a game which would allow players to carry a small lacquer box in their pockets? We used PBR materials in Unity (the Standard Shader) to create a realistic looking gold material. We experimented with scratches to make SHIRO’s subsurfaces look like used lacquer but eventually we simply used an unlit color as most smart devices have scratches anyway. Even though SHIRO is inspired by Japanese lacquer boxes, it wasn’t possible to navigate the game in a manner that felt boxlike until very recently. Why did we hesitate to implement 3D-ish behaviour? Well, we’ve been super afraid of touching the corresponding code, because we knew the game wouldn’t work properly for a few days, plus there was a high risk of not succeeding at all. An important feature of SHIRO is that the material gold reflects dependent on the player’s movements (by using their devices’ gyroscope), so inserting 90° rotations on the y- and x-axis to turn a box could lead to unwanted behaviour easily. Another objection on our end was conceptual: We wanted our player’s devices to look and feel like a lacquer box and not put a 3D-box inside the device. We questioned our doubts by touching many objects, haha. What does using one’s hands to rotate and look at objects like boxes, bottles, mugs etc. from different angles feel like? What kind of behaviour do we expect from digital objects and surfaces, like browser interfaces? We developed a clearer idea on how to implement box mechanics into SHIRO without making the game look like a trapped 3D-box in a smartphone. Testflight is a program with which one can distribute not yet released iOS games among test players. Since players use their own device it’s a great way to find bugs and receive feedback after people dealt with a game on their own terms and without the makers of the game anxiously sitting next to them. The builds automatically deactivate after 90 days, so testplayers won’t have a not-great-version of the game forever and friends won’t tease you about funny bugs in a few years from now (or at least they won’t have proof then). Working with Testflight helped us improve SHIRO a lot. It can be quite time consuming to upload new versions, which Apple will test for a few days each time, but it’s way easier to handle for testplayers than lengthy explanations on how to download an .apk and install it manually. While we’ve been able to identify bugs very easily in the first few months of development it is more difficult to find them now as they are less obvious and sometimes appear irregularly or on some devices only. So we’ve been running around asking people what kind of devices they were using and if they wanted to test our game, or even let us spend some time with their device and SHIRO. We’re working with sound artist Leonard Bahro, who developed far darker soundscapes for SHIRO than we had planned for initially, but — they really strengthen the emotional range of our story and add depth to the puzzles. Now the deep mumbling of the waves within KURO’s puzzles is interrupted by Japanese drums whenever players interconnect moons and drops. In the narrative parts of KURO, players activate Koto sounds that join into melodies when they find story parts. Another exciting experience was to work with a Japanese friend whose voice reveals one word in Japanese each time a player solves a puzzle. 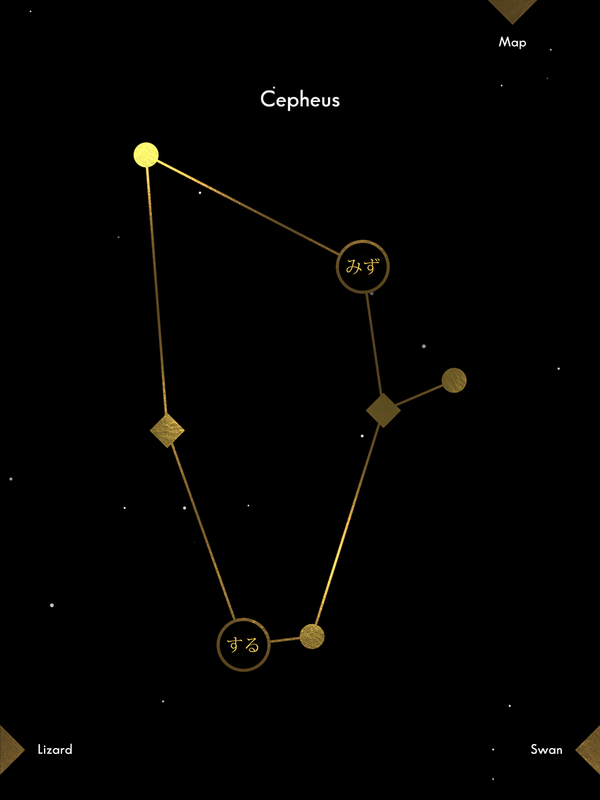 SHIRO’s levels are ordered in star constellations and players can now hear the words they’ve already unlocked by tapping on the associated stars. We will post about SHIRO on https://thetopicbird.com/blog and http://twitter.com/thetopicbird.